What words or names would be most appropriate for the community to use to refer to potential future human beings that have gene edits? I have up until now referred to such hypothetical people as “genetically modified humans” or “GM humans” for short. To me this terminology seems most accurate. Keep in mind that people bearing gene edits don’t exist and in principle may never come into being, although I think the odds are increasing that this might happen. It is also worth noting that nearly everyone who has weighed in on the potential production of humans with germline gene edits has been opposed to it. Others have used the “genetically modified human” terminology as well. 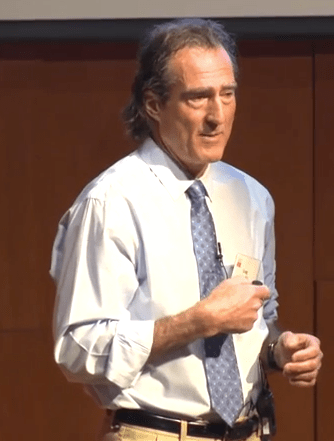 For example, Nobel Laureate Craig Mello uses the term “genetically modified humans” (at the ~36 minute time point in video above, HT to Antonio Regalado @antonioregalado, screen shot at top of post from video). Still, however, I can see how the phrase “GM human”, even if used in a discussion of only hypothetical future beings, could be complicated. For example, Julian Hitchcock raised the concern on Twitter that the nomenclature “GM Humans” could have negative connotations. @pknoepfler Good reporting, as ever, but isn't "GM human" a rather loaded term? Why is this issue of what to call modified humans important if we are only talking about a hypothetical case scenario that might never become reality? Even if we are just talking about potential future people who might have gene edits, we need words right now to accurately refer to them during discussions of human germ line gene editing/genetic modification. Such discussions are urgently needed at this time given evolving biotechnology and part of the agenda for dialogue needs to include what happens if (again for lack of a better term currently) GM people are produced. If GM people were ever created, they would from a scientific perspective indisputably possess genetic modifications from the original genome that they would have inherited or did inherit as a 1-cell embryo. In addition, they would be genetically modified organisms or GMOs. Should we do a PC tap dance around that fact by avoiding the phrase “genetically modified”? Yet it can be very complicated. As Hitchcock asked, if a 1-cell embryo has a disease-causing mutation and CRISPR were used to revert that back to a wildtype, healthy genetic state, should we still call that a “genetic modification”? At the moment I would say “yes”, but I realize this is a difficult issue on a new technology that we are talking about using in a hypothetical application so it’s not a hard-and-fast “yes”. This kind of question is made even more complex by the fact that CRISPR is not necessarily going to be entirely specific when used somewhat on the fly during human embryogenesis (again hypothetically) so even with correction of a mutation, how can we be 100% sure other unintended genetic modifications didn’t occur? We also do not know, as Baltimore, et al. pointed out, whether “correction” of a mutation even if done in a perfectly specific hypothetical context, could lead to unintended consequences in a particular specific embryo or the human produced from it. Everything is context dependent. What if the same kind of technology were used to experimentally try to reduce risk rather than outright try to prevent disease? What if this approach were used to attempt to alter behaviors or traits? Can we draw clear lines between these different applications of the same kind of technology? For the purposes of community discussion today, what might be the best words to use to refer to these hypothetical cases of new versions of humans? I believe we’ll have colony on Mars before this happens. Look at how the FDA currently regulates stem cells. Fuji bought CDI not Merck. This is a leading indicator how far behind we are vs other developed countries. The FDA has, if memory serves, claimed regulatory oversight authority over human genetic modification, but if someone goes ahead and does it, what can or would the FDA do about it? Personally, I’m using the phrase “GMO babies.” Yes, it carries baggage; yes, it’s loaded. But it’s factually correct, and a fact is a fact. Maybe its use will encourage people to think about its implications. “Modified” seems almost too scientific and cold – perhaps that’s the issue? Should there every be gene edited germ/embryo technology used in fertility treatments that baby/person would have had “genetic intervention” or had “intervening gene editing technology” etc…. The use of a purposeful and positive medical term, such as intervene, presents a better and more human face to the public who are perhaps going to read about themselves in the media and not feel very good if considered a crop specimen by all. Who uses test tube baby anymore? Was it the correct term back in the day? @StemCellPromise facts are facts, but being blunt is often damaging and counterproductive. There is a spectrum of potential mods with wildly different goals (e.g. vanity/performance enhancing vs. disease reversal) and using one term (like “GMO babies”) to categorize all of them is inappropriate. I think successful nomenclature is as informative as possible. For the dreaded “designer babies” (we already have an appropriately dreadful name) we can add “GMO” or even extend all the way to “laboratory abomination”, depending on how much fear-mongering we’re up for. Disease-related edits themselves are diverse, depending on the causative mutation and affected systems, but I think could largely fall under “gene repair”, “DNA surgery”, or “gene therapy”. Either way, I think it’s important to use wording now to distinguish attempts to cure diseases from less-justifiable applications. A catch-all term is academically useful, but leads to misunderstandings and overgeneralization on the path from lab > popular press > public.